What will my trek be like? Your trek includes a pre-trek briefing at our office in Cusco. The briefing gives you a chance to meet your guide and learn more about the route you will be hiking in Peru. It’s a nice ‘welcome’ to Cusco and to our team, is a great opportunity to ask any last-minute questions you may have about Peru trekking before heading out. This is also when you will be expected to pay the balance of your trek price, if you haven’t already done so. Briefings are held in the evening, preferably 2 days before you depart, at our office (located at 366 K’uychipunku). 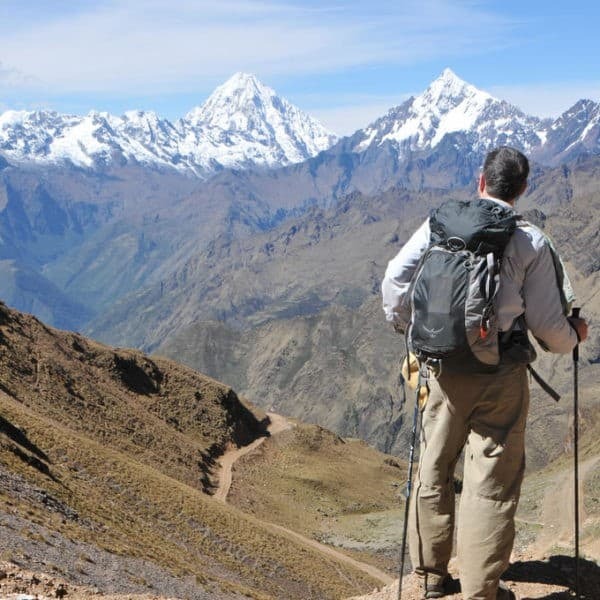 The Peru trekking briefings last about 30 min to an hour, depending on your group. We’ll advise you of your briefing time in the booking confirmation email. If you have a conflict with the scheduled briefing time, please let us know and we will make alternative arrangements. Please remember to bring your passport to your briefing. Peruvian regulations require that we keep a copy of your passport on file. The Briefing Room also doubles as exhibition space for Threads of Peru, showcasing all the hand-woven, naturally dyed textile accessories that the non-profit produces. Come prepared to feast your eyes on all the gorgeous hand-made creations woven by high Andean artisans, learn about the cultural traditions and maybe stock up on some woolly souvenirs! On the trail, there will be opportunities to fill up your reusable water bottle with boiled water at meal breaks, or you can fill up with water from streams along the way. Stream water must be purified using purification tablets or a hand-held water purifier. On Day 1, we recommend you bring 1-2L of water with you to start off the trek with. Everyone has slightly different water needs. It is your responsibility to ensure you take enough water with you on the trail each day. Please communicate your needs with your guide and cook. There are few opportunities for bathing on our treks, but we will provide you with some warm water to wash your hands and face in the mornings and evenings. Cold water shower facilities are available on the Choquequirao trek. For a real chance to bathe on the trail, considering upgrading your trek to our Comfort Camping option! Comfort Camping includes a shower tent for (short) hot showers, among other perks. We provide toilet tents on most of our trekking routes; on other routes, there are existing facilities which you can use. On the trail, your guide carries a pick or light-weight shovel which you can ask them for when you need it. Please relieve yourself at least 70m from any water source, and a good distance away from the trail as well. Bring plenty of toilet paper with you, but follow International Leave No Trace Rules and carry used toilet paper out with you. We recommend bringing plastic Ziploc bags for this purpose! Each trip departs with a basic medical kit and an oxygen tank. If you have specific medications that you take, or other particular needs, please bring these with you. We do not include altitude tablets in our kit. Please note that the blister care that we have is Peruvian-style (band-aids and cotton wool); we do not have Western-style “second skin” blister treatments. 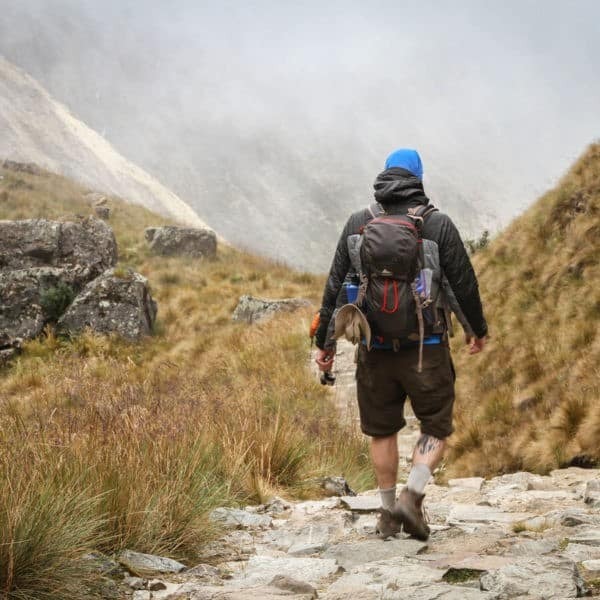 Trekking in the Andes is generally quite safe. There is minimal theft, though it does sometimes occur on the more touristed routes such as Salkantay. Our advice is to be cautious, not paranoid! We do recommend always sleeping with your valuables (money belt, passports) near your head or in your sleeping bag. Your camera and day packs should also be kept near your head, never near the flap of your tent. Shoes should also be stored inside your tent. After a challenging day of trekking, what could be better than a hot, delicious meal to nourish both your body and soul? Our chefs routinely receive rave reviews for their delicious culinary creations, blending Peruvian and Western flavors. Vegetarian? Gluten-free? Think beets should stay in the ground and not on your plate? We can cater to all your dietary needs and preferences, just let us know when you book your trek (and remind us at your briefing!) so we can accommodate you. Preparing high quality, nutritious meals at 4000m presents some obvious challenges, but our highly trained chefs have years of experience and are experts at trail-side cooking. Water is boiled for a full three minutes before cooking, and raw vegetables (if served) are thoroughly washed in boiled or purified water. Did you know? Water boils at lower temperatures at high altitude! Since boiling water may only reach 80˚C (176˚F) instead of the usual 100˚C (212˚F), it is necessary to boil water longer to make sure that any bacteria or other nasties in the water are killed off. Breakfast – Pancakes, omelettes or fruit salad; fruit; yoghurt; porridge; bread, butter and jam. Lunch/Dinner – Soup and/or a starter with fresh vegetables, followed by meat or fish with a pasta dish, rice dish, or potato dish, and a delicious fresh sauce to complement. Beverages – A selection of herbal teas and caffeinated teas, including coca leaf tea; coffee; and hot cocoa. We also provide snacks for you every day to take with you on the trail, and these are packed in re-usable bags that you keep during your trek. At Apus Peru, we take pride in maintaining our equipment to the highest possible standard, and upgrade it on a rotational basis every year. As hikers ourselves, we know what kinds of equipment we like to have with us on the trail, and so that’s what we make available to you, too! Tents: we use 4-person tents for groups of 2, ensuring our guests greater comfort and also providing room for backpack storage! Single people or groups of 3 are generally accommodated in 2-person or 5-person tents, respectively. Foam Mattress: providing a little bit of insulation between you and the ground. Inflatable Thermarest mattresses are available for rent for greater comfort. Chef and cooking equipment are included in most of our treks. Dining Tent: a special shelter allowing your group to dine in comfort. Toilet Tent: a necessity on all but the Inca Trail routes, our toilet tents are comfortable, easy to use and ecologically sound. Duffel Bags: strong, secure and water-resistant (not waterproof), we provide duffel bags for easy storage of your belongings while on the trail. Please leave them in the reception area of your hotel at the conclusion of your trek! On the last day of your trek, your guide will give you a Feedback Form to fill out. Please take the time to fill out this form! Your honest feedback is extremely valuable to us to ensure we continue to provide the best quality service, and to fix any problems that might have arisen. You are permitted to carry up to 7kg (15.5 lbs) of personal belongings on the trail, which includes your sleeping bag. Apus Peru sleeping bags weigh 2kg (4.5lbs) which means you can carry 5kg (11lbs) of your own things. If you bring your own sleeping bag, and it weighs more, this means that you will have less room for your belongings. Be sure to keep this in mind! At your briefing, we will provide you with a strong, secure and water-resistant Apus Peru duffel bag in which to store your things, including your sleeping bag. These will be carried by mules during the trek, along with the food and other equipment. Note: you will not have access to your duffel bag on the trail as the muleteers travel at a difference pace than the main group. You will be given your duffel bag at the end of each day, once we reach the campsite. The duffel bag measures approximately 60 cm x 30 cm. Although water resistant, we recommend that you store your belongings inside a plastic bag within the duffel bag. At the end of the trek, please be sure to return your duffel bag to the reception desk at your hotel, where we will come and collect them. quickly remove some items to lighten your load, as long as you will not delay the group. pay an over-weight fee of $1 per kg per day. In addition to this, we recommend you carry a light daypack for all the things you will need access to on the trail, such as your camera, sunscreen, layers of clothes and rain gear. The rest of your belongings – everything that you are not taking with you on the trek – can be stored at your hotel or hostel. On most routes, we send a horse to accompany the group in case of emergencies such as a sprained ankle or altitude sickness. Your guide may also recommend you ride the horse if your pace is significantly less than the group average. If the guide recommends it, please ride the horse! It is in the best interests of the entire group to reach the campsite in good time. The horse is more of a cross between a mule and a horse and is not comfortable to ride for long periods. It should also be noted that in extremely wet, muddy or steep conditions, it may be safer to walk rather than ride the horse, and you may be asked to dismount. Please check the list of specific inclusions on your trek route to make sure an emergency horse is included. 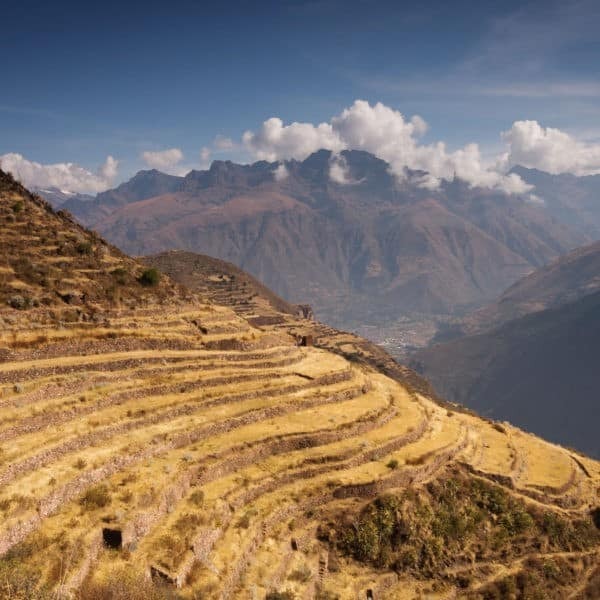 Some routes do not allow it, such as the Classic Inca Trail. On a standard trek, you are permitted to carry up to 7kg of personal belongings (including your sleeping bag) in your assigned duffel bag. Most people find that the weight allowance is sufficient, but if you think you need to take more, you could consider hiring an extra mule. Mules carry about 20kg of equipment, so an extra mule may be shared between 2-3 people. 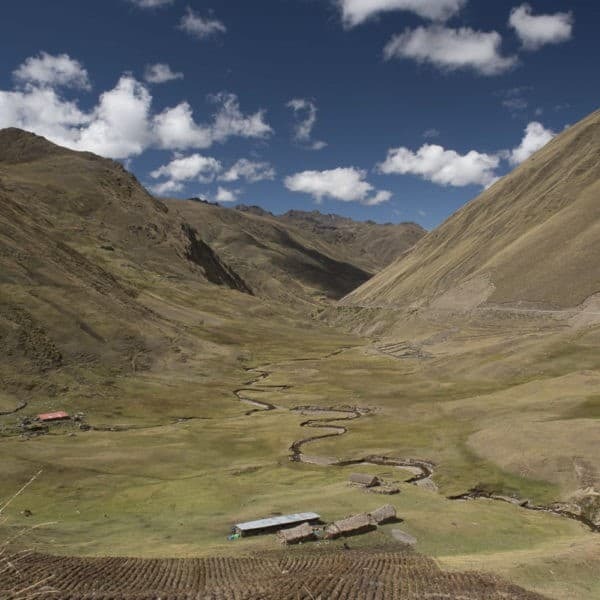 All treks except Inca Trail treks include an emergency riding horse, for anyone who may become ill on the trek or who are feeling weak due to altitude. However, if you are travelling with young children or older folks, those who are not terribly fit, or who may be inexperienced hikers, you may wish to hire an extra horse. This will ensure that there is always a horse available for riding when that person needs it, and still one available for true emergencies. If you want to hire an extra horse or mule, this must be reserved at least one week in advance of your departure date. Muleteers and horsemen live in remote areas and we need time to be able to contact them. 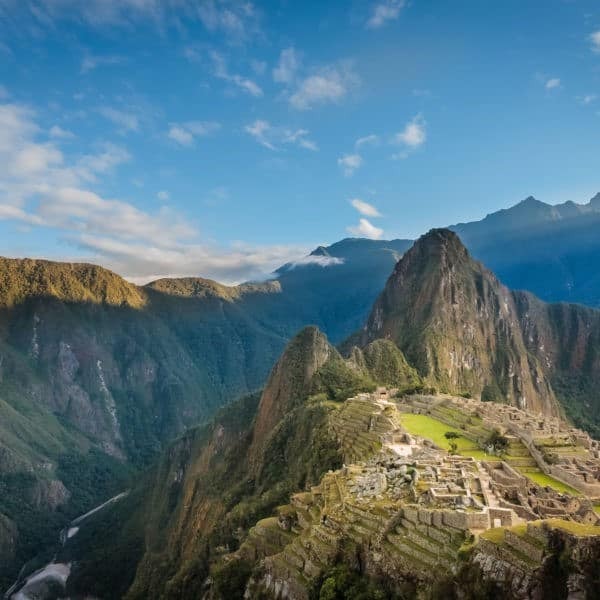 Hiring an extra porter on the Inca Trail. This must be done at the time of booking in order to purchase the necessary permits.